Geomod > News > Water modelling > The newest version of XPDrainage is now available ! 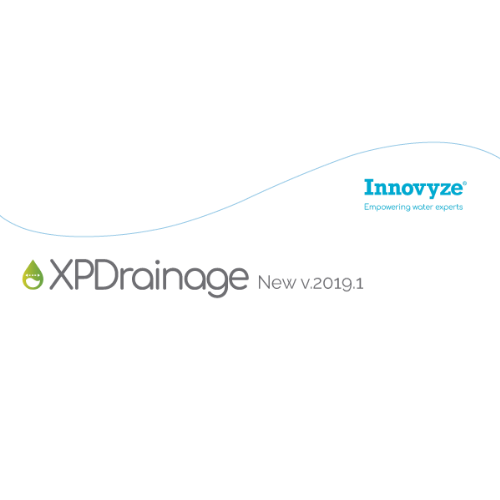 Geomod and Innovyze are excited to announce the newest version of XPDrainage! This release marks a dramatic advance in the sophistication of the software, as it includes a full hydraulic SWMM5 engine, improved comparison reporting and more. We recommend that you install this latest product release to update your product, or contact your system administrator to request this update. XPDrainage 2019.1 includes a full hydraulic SWMM5 simulation engine that can handle sustainable drainage structures. This means you can do both design and analysis, and therefore scenarios and iterations, all within XPDrainage. Adopting the SWMM5 engine brings you reliable and widely accepted hydraulic analysis of pipes, manholes and – unique to XPDrainage – hydraulic LID structures (also known as SuDS and WSUD). The analysis is significantly faster than the previous XPDrainage engine, saving you time and giving you more confidence in your designs. It also offers more commonality with other Innovyze modeling products that include SWMM5. You can now build multiple reports to plot and tabulate results, from different phases, by total or individual objects. This means you can interpret results and make decisions faster when you’re considering different stormwater control options.